Another Top Gear stunt went wrong yesterday evening after the BBC car show tried to attach a caravan to an airship carrying co-host James May and it crashed into a field near a busy road. May is uninjured. BBC film crew frantically raced to the scene to check whether James May and the rest of the crew were injured. 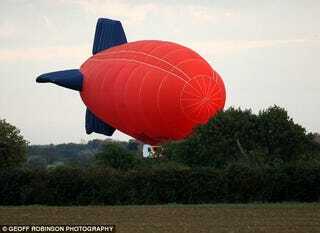 Although they were unable to reach the airship, a helicopter filming the stunt gave them the all clear.